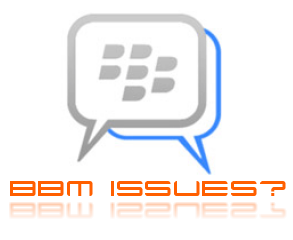 We certainly wouldn't say there is an outage but the forums are quickly filling up with users indicating they're having issues with their BlackBerry Messenger. Be it delayed or not getting send and receive confirmations something is up today. Some folks on Twitter are also reporting slower then normal emails in addition to BlackBerry Messenger issues so, how's things working for you all? Drop some comments and let us know if you're having any issues today.